A colourful programme that starts with Grieg’s famous Holberg Suite and a Bach concerto, followed by two world premieres: Sketches by the ensemble’s musical director, Yuri Zhislin, and a new commission from Colombian composer Arturo Cuellar. All players return to the stage for Shostakovich’s witty Concerto, which quotes and parodies several works of his and others, including Beethoven’s Appassionata. To tie into the main concert this evening, the Laefer Quartet’s programme features works written by the great Russian composers, Alexander Glazunov and Modest Mussorgsky, as well as a delightful theme and variations by Felix Mendelssohn. 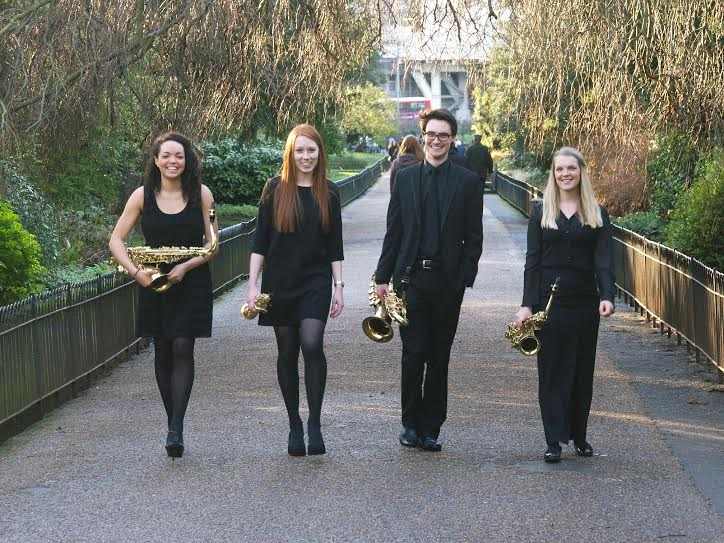 The award-winning Laefer Quartet is an exciting and fresh saxophone quartet who formed in 2012 at the Royal College of Music. They have received coaching from Kyle Horch and Martin Robertson and performed in masterclasses with David Brutti and Gerard McChrystal. The word ‘Laefer’ (pronounced lay-fer) is anglo-saxon for ‘reed’ and ‘sheet metal’. The Laefer Quartet were proud recipients of the 2014 Boconnoc Music Award which included a series of concerts at the Boconnoc Estate in Cornwall last July. 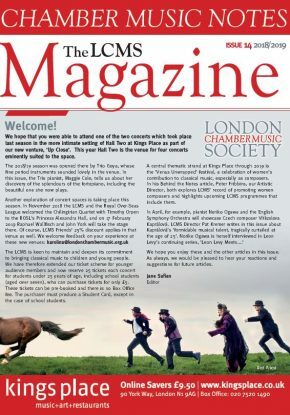 They have been performing across the UK at numerous venues including The Royal Albert Hall’s Elgar Room and the National Gallery and have been delighted to perform UK premieres of works by contemporary composers such as Ivan Fedele.